Rita Kapur Chishti started Taanbaan to revive the ages-old Indian craft of handspun and handwoven textiles, back in 1998. Today her products include organic silk and cotton saris, scarves, stoles, dupattas, home furnishings and even made-to-order fabrics for various needs. Minimalism is one word that describes the label which employs techniques like plain jamdani and other hand-oriented embroidery to enhance the look of the garments. Often, they are embellished with exquisite metallic zari especially crafted in Banaras. a�?Since we stick to creating handmade products, even our embellishments are hand done and are difficult to replicate on a machine,a�? shares the co-author of Saris of India. The cotton they use is cultivated in Maharashtra and Andhra and is spun in Uttar Pradesh, Maharashtra and Andhra. It is then woven in Madhya Pradesh, Assam and Orissa. Geared towards Indian wear, her heirloom collections feature a lot of neutrals with some solids like indigo, maroon, olive, saffron and turquoise. A range of khadi weft and silk warp saris with pure silk borders and zari palloos from her latest collection are quite a hit this season. a�?Wea��ve used low twist silks from Banaras, Bengal and Odisha, which combine with our highly skilled weaving and refined zari to provide a luxurious drape,a�? Chishti reveals. A deep pink sari is livened further with an extra warp of gold patterning and another parrot green cotton number is given more character with stripes of turquoise blue tussar, contrasted with brown accents. a�?Khadi saris have a supple texture to keep you warm in winters and cool in summer,a�? she explains. The stoles too are worth a mention, as a green, blue and pink-hued silk organza number quite struck our fancy. Taanbaana��s range of home furnishings employ classic shades like indigo, madder, beige and unbleached white with both ethnic and global patterns. The use of organic handspun fabrics means that the pieces are soft and comforting. 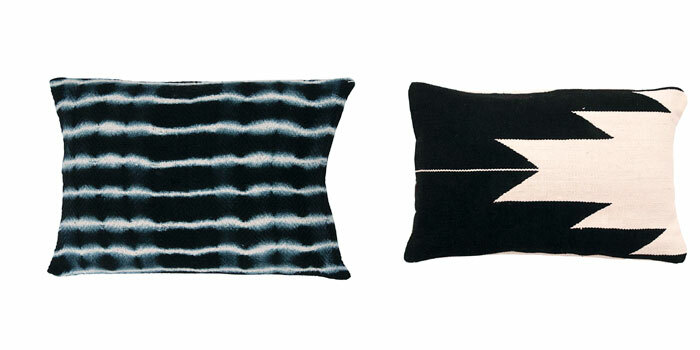 Choose from a gray tussar silk cushion with a shock of cerise pink and hints of bright yellow, indigo and coral accents, a neat kora and madder number with a geometric design, or a black piece with a metallic geometric weave. We were also quite taken with a set of ikat table mats in kora and indigo, as well as a herringbone patterned throw in brown and kora.